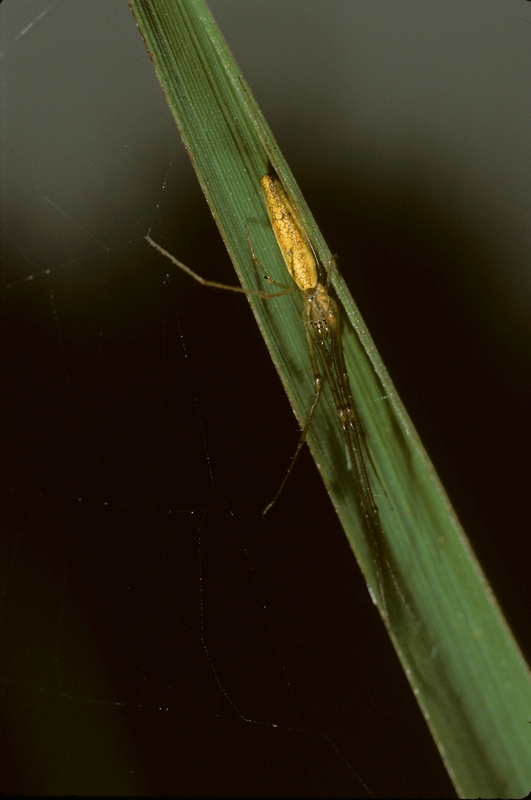 There are 19 species of longjawed orbweavers known from Ohio. 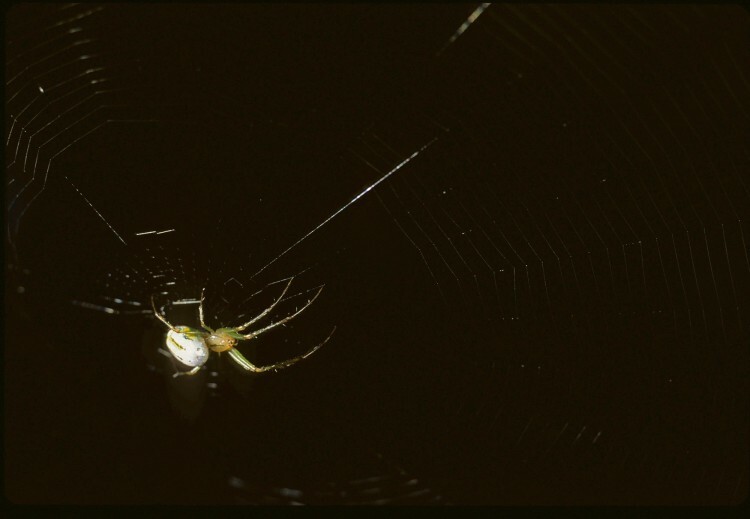 This represents about 3% of our spider species. 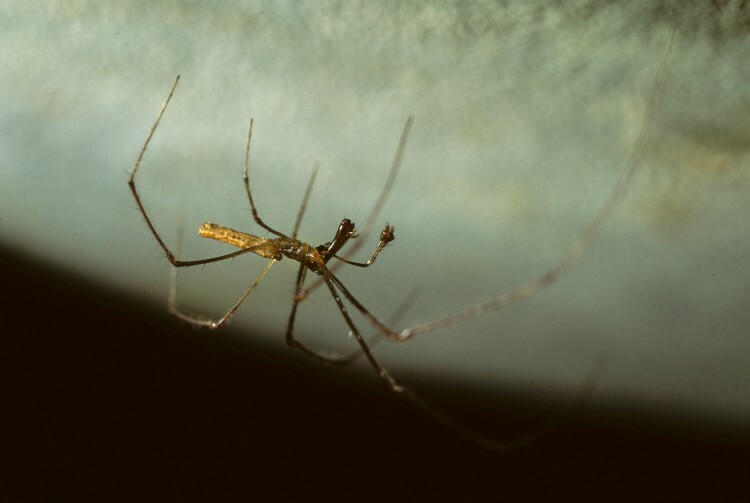 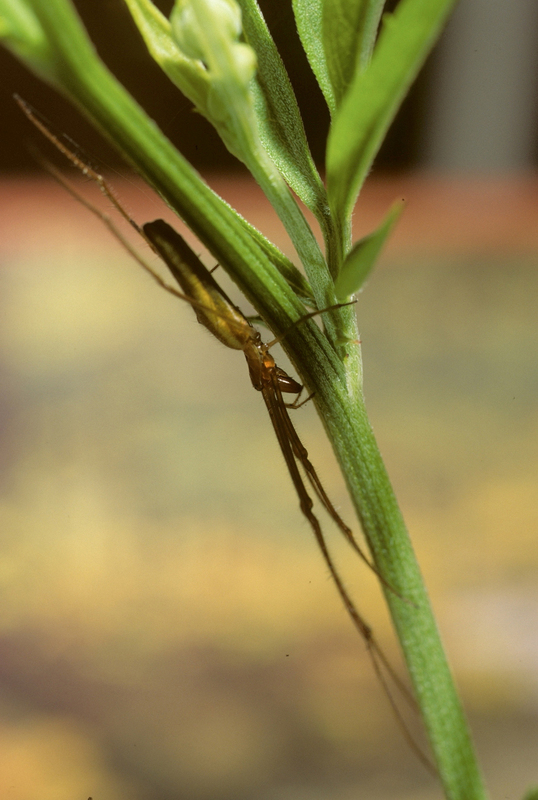 The members of this family are named for extremely large jaws possessed by members of the genus Tetragnatha. 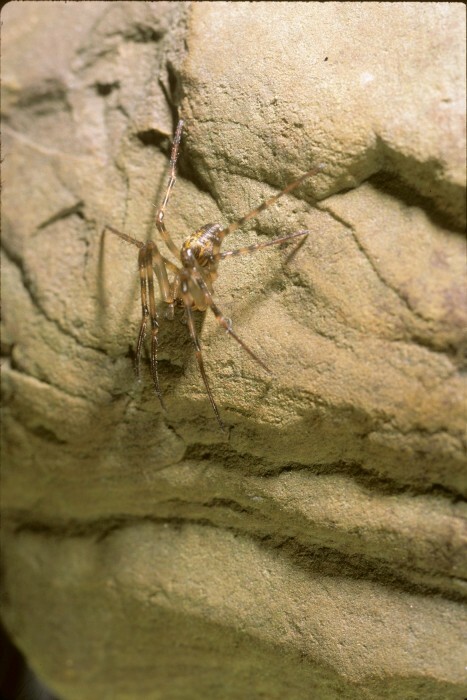 The jaws can be as long as, or longer than, the remainder of the cephalothorax. 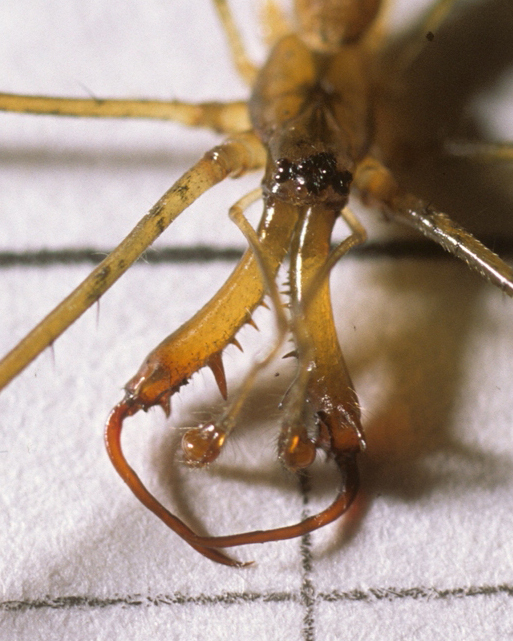 When mating, males and females interlock jaws creating a frame of four jaws; hence the family name: tetra (four) gnath (jaws). 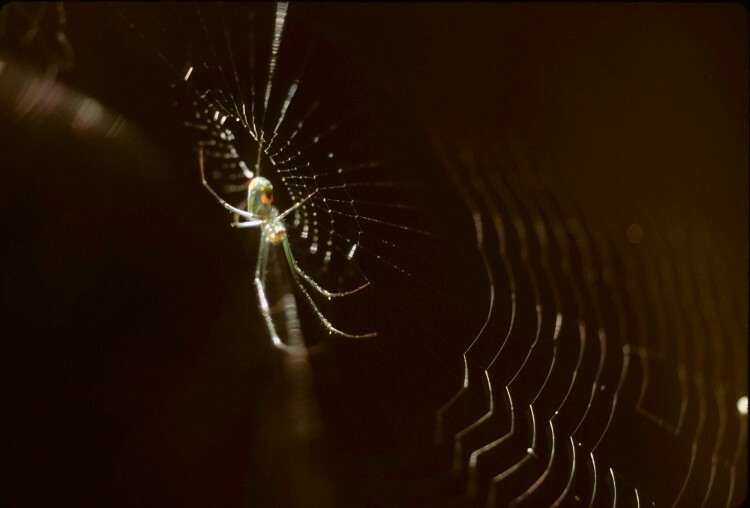 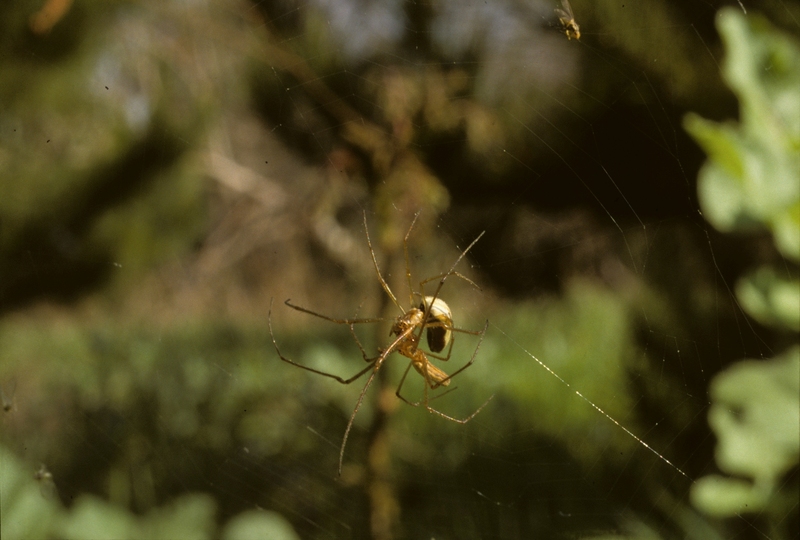 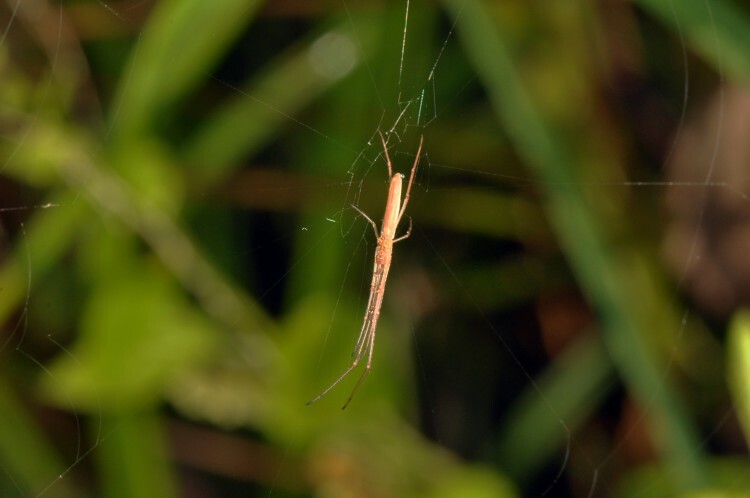 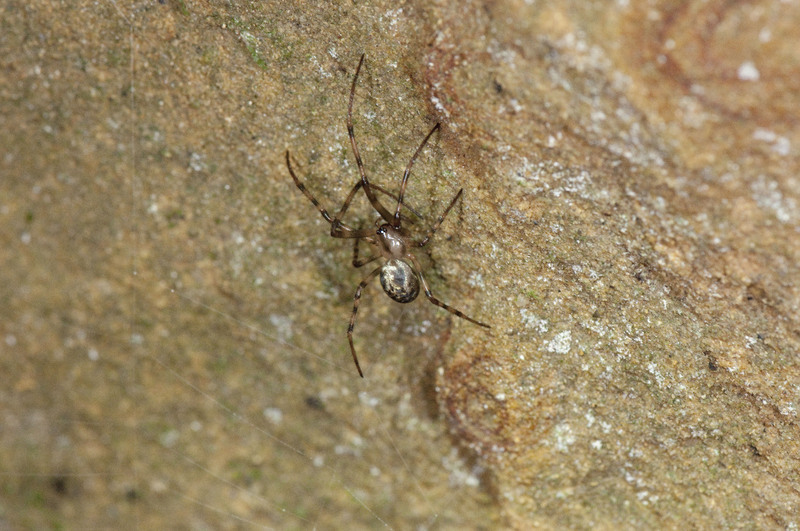 The orb webs built by longjawed spiders are very similar to those of the orbweavers (Araneidae), except that longjawed spiders orient the web horizontally or at an angle near the horizontal. Thus they capture falling prey or prey flying upwards. 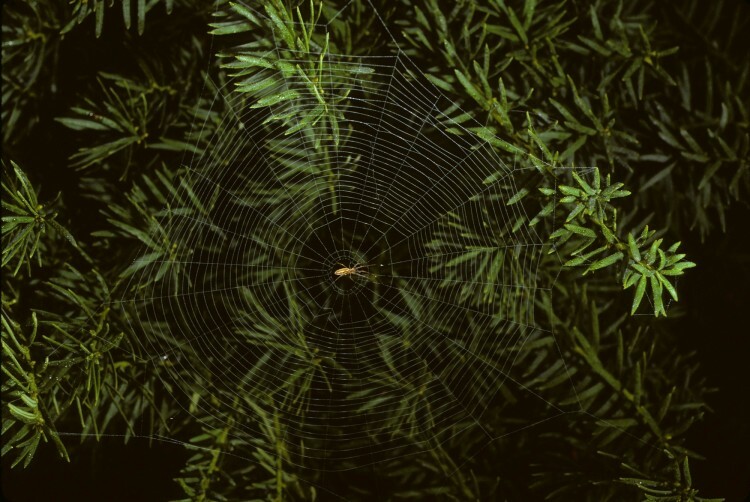 The webs are particularly common near the edge of streams, ponds, or lakes where aquatic insects emerge from the water surface. These spiders are responsible for killing large numbers of mosquitoes. 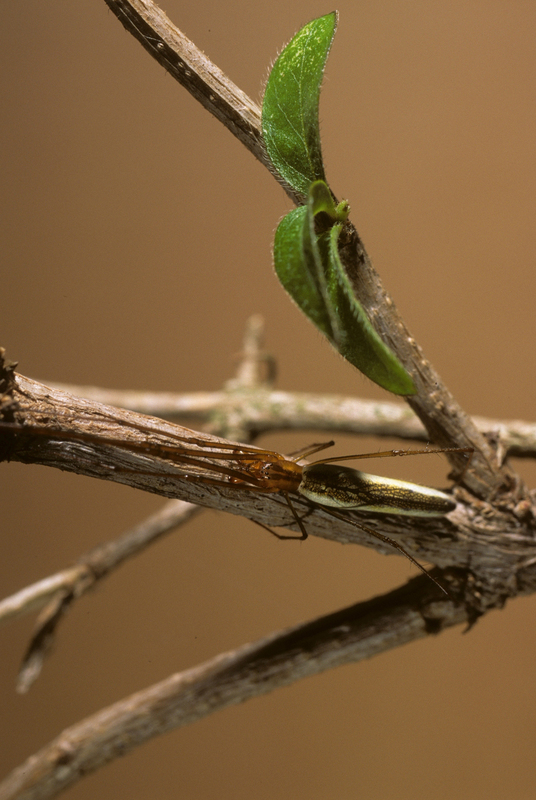 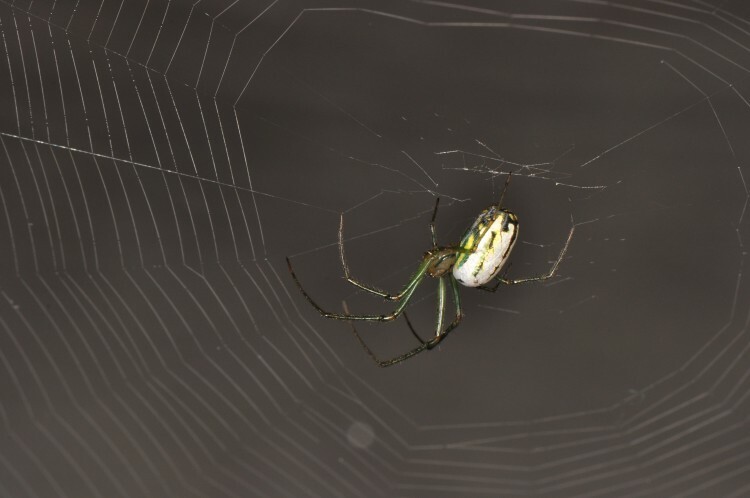 One species that is common in gardens, orchards, woodlands, and forests in Ohio has only modest-sized jaws, the orchard orbweaver (Leucauge venusta). This silver-and-green spider can be readily identified by the orange spot on the underside of the abdomen. 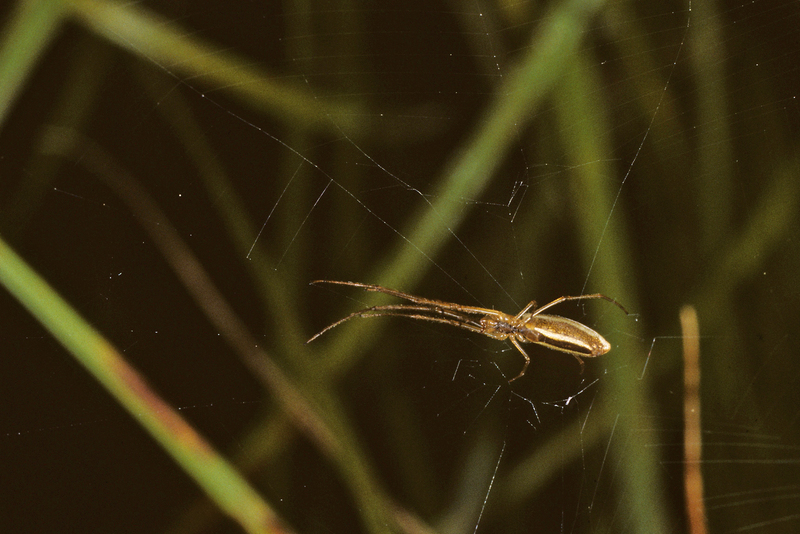 Longjawed orbweavers mature in spring and reproduce throughout the summer. Individuals overwinter as immatures.